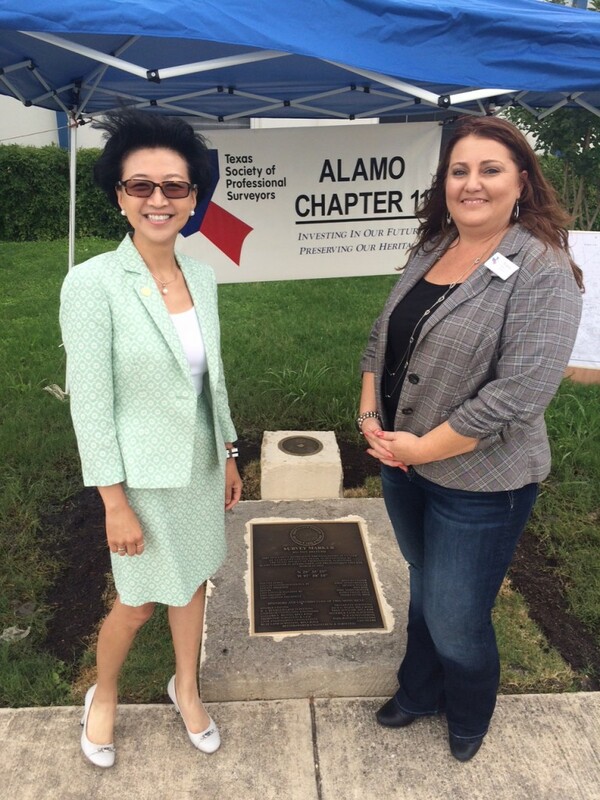 On Thursday, May 21st, a monument was dedicated by the Alamo Chapter of the Texas Society of Professional Surveyors (TSPS) to represent the geographical center of Guadalupe County. The dedication ceremony was led by UNINTECH’s own Trisha Lund, R.P.L.S. who also serves as president of the Alamo Chapter and State Director of the TSPS. Lund was joined at the event by President of UNINTECH, Elisa Chan, State President Elect Paul Carey, R.P.L.S, L.S.L.S., Secretary and Treasurer John Banard R.P.L.S., and Guadalupe County Sheriff Arnold Zwicke. 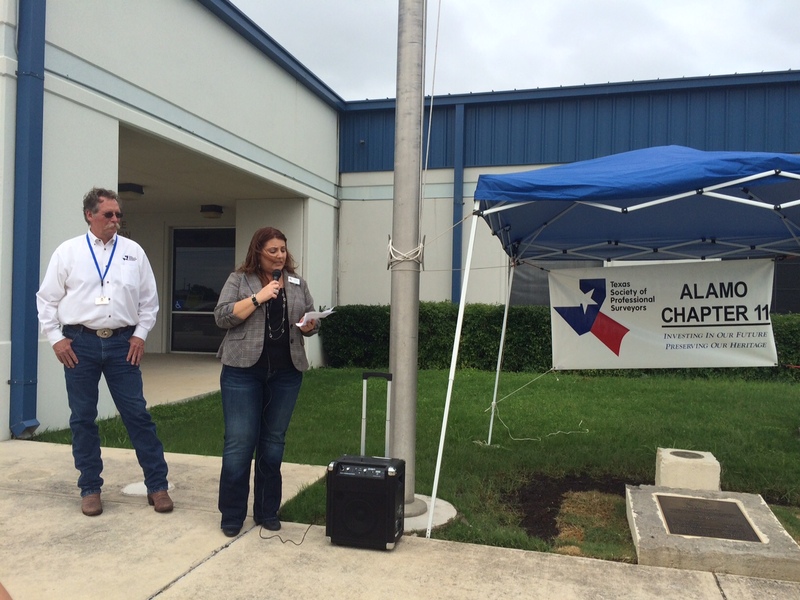 The event was open to chapter members, residents of Guadalupe County, and interested guests.